Our latest Poll for the Mail on Sunday. Our latest poll for the Mail on Sunday has further tracked public opinion on the state of the parties and on Brexit. 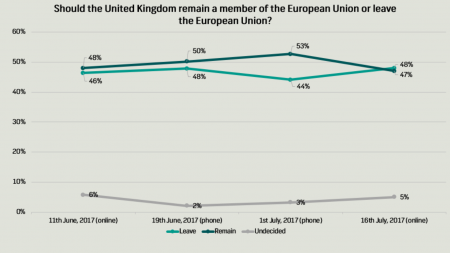 Voters are still split on how they would vote if there was a rerun of 2016’s EU referendum, with 48% saying they would vote leave, 47% remain and 5% undecided. If there were another referendum on the UK’s membership of the EU, how would you vote? 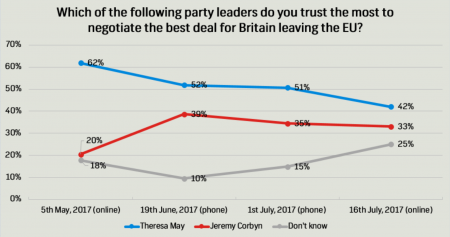 Voters still say they would trust Theresa May over Jeremy Corbyn to deliver the best Brexit Deal, by 42% to 33%. 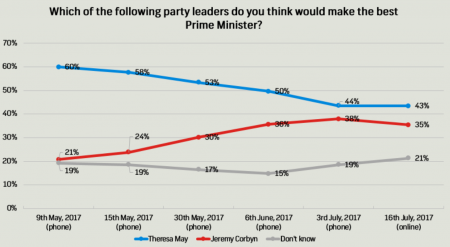 And Theresa May is still described by most, 43%, as the best Prime Minister. 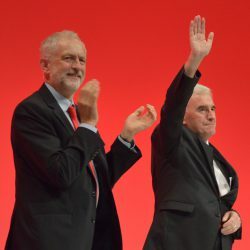 Jeremy Corbyn is seen as best by 35%. We also asked voters their top choices to replace Theresa May from the Conservative front benches, and who they thought would be most likely to secure a good Brexit deal. Other topics covered in the polling include: perceptions of Brexit negotiations and public opinion of the UK’s prospects after EU exit. * In this poll those who chose UKIP were not amended. Our general election polling however reallocated UKIP voters to their second preference vote (or decision to not to vote) in their constituency, if UKIP were not standing in their constituency. Survation interviewed 1,024 UK adults online between the 14th – 15th July. Survation is a member of the British Polling Council and abides by its rules. You can sign up to our press release list here.